This event is on Saturday 12th Jan between 19:45 and 22:00. Live comedy and a vegan feast in Bedminster. Join local comedy legend Mark Olver, and some of his famous mates or a night of top-notch comedy. Enjoy a vegan feast prepared from local produce, and bring your own beer along to enjoy. 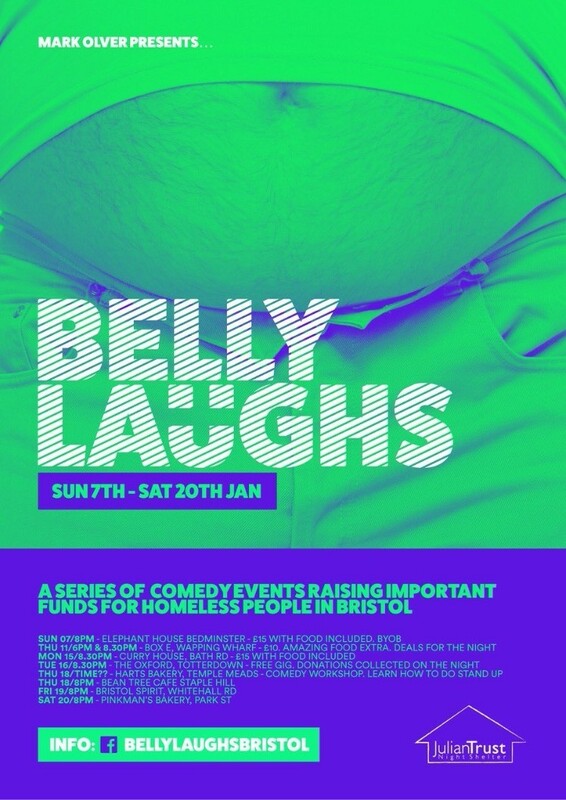 All proceeds from Belly Laughs support Julian Trust night shelter in central Bristol.